The Amalfi coast is one of the most visited places in the world. The sweetness of the climate, the beauty of the area, where man has been able to create a harmonious architectural-landscape synthesis and breathtaking views make it a unique place. Amalfi is one of the pearls of the peninsula. When you pass through the gateway to the medieval city that, everywhere, echoes the splendor and epopee of the Maritime Republic, the visitor is struck by the magical atmosphere that reigns among the streets, alleys and shops. The gaze and the soul are sublimated, then, having reached Piazza del Duomo, before the majesty of the staircase that leads to the marvelous cathedral with a sparkling façade of precious polychrome marbles. It is sad to leave Amalfi and it is difficult to forget it, obtaining an important place in the heart and memories of those lucky enough to visit it. 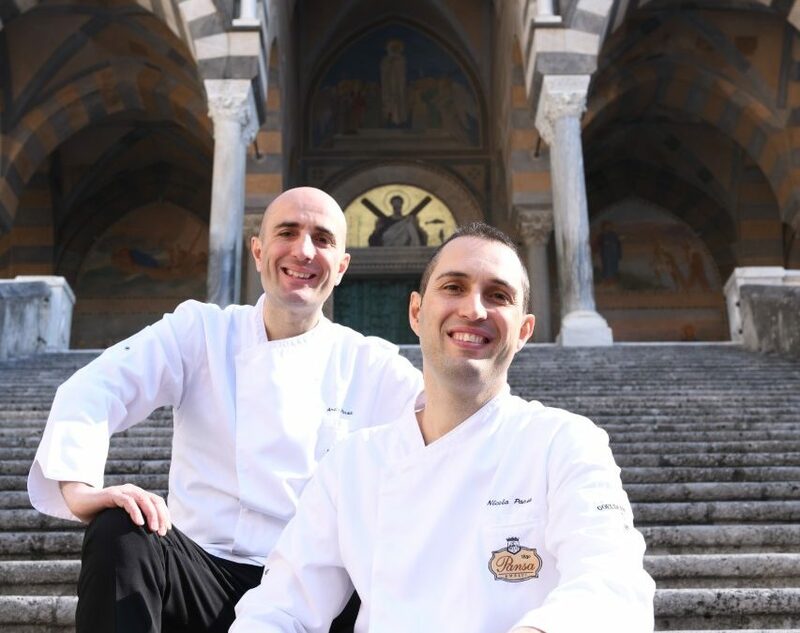 Therefore, Amalfi is history, art, legend and culture; but also the seat of gastronomic excellence rooted for many years. Among these, the historic Pasticceria Pansa stands out. We are in the company of Andrea Pansa, owner of the local historian, who tells us about his ancient activity. D) When was the Pasticceria Pansa born? R) My great-great-grandfather Andrea Pansa founded it in 1830 and immediately succeeded. The activity was then handed down from father to son, from Andrea to Gabriele who was succeeded by his son Andrea (my grandfather. After the second war it was my father Gabriele who gave new impetus to the family business. Today I lead it together to my brother Nicola, so we are the fifth generation. D) How did you split the job? R) I am in charge of controlling the production of pastry, purchases and the administrative part while Nicola is dedicated to the communication and promotion of brands and products which he also manages the sale. Q) How much has the processing and sale of your products changed over the course of two centuries? R) Very. Suffice it to say that in the 800s and 900s the desserts of our patisserie were sold only on the occasion of parties and events. The core business was represented by liquors and loose raw materials. In other words, our business was more than a pastry shop selling colonial products. Only after the post-war period did Amalfi become an international tourist site, the Pasticceria Pansa, with my father, became a real place of production and tasting of sweet flavors for the public in every part of the world. D) What are the specialties of Pasticceria Pansa? R) Our flagship flowers are the classic Santa Rosa, a typical dessert of the ancient coastal tradition that we offer both in the ancient version (the one the nuns made in the monastery where it was conceived) and in the modern universally known version; the famous lemon delight that is made using the tapered lemons of the Villa Paradiso farm lands; the lemon zest, a sweet made from candied lemon peels. D) In ​​addition to desserts, what can you enjoy? R) The lemon granita, very appreciated especially on hot and sunny days in summer and the Sfusato Amalfitano, a coffee with lemon peel made by placing the Amalfi lemon peel in the cup before pouring yourself an excellent Neapolitan espresso. In addition to being very tasty and original, sfusato is the most effective natural deterrent against headaches! D) Project for years to come? D) To conclude, who was the most important customer of Pasticceria Pansa? R) The story has it that it was Wagner who visited it during his trip to Italy, even though for us the most important customers are those who come to visit us every day, those who love Amalfi and the Pansa Pastry most of all.